German Cops Seize Trump-Shaped Ecstasy Pills - Joe.My.God. Have you ever wondered what it’s like to live inside Donald Trump’s head? Well, German police have seized a party drug that lets you experience the feeling that everything you are doing is amazing, while others only see a barely coherent, twitching mess. 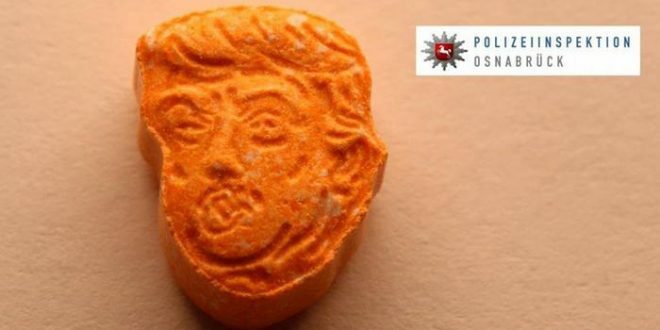 Police in Osnabrück found €39,000 of the Trump-shaped ecstasy pills, which were also stamped with the US President’s name, during a road check on Saturday evening. The illegal hoard was found in an Austrian van being driven by a 51-year-old man, who had taken his 17-year-old son along for the ride. 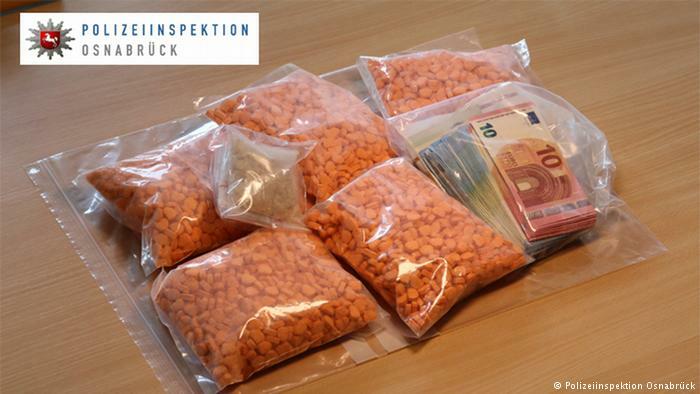 The men had arrived in Lower Saxony from the Netherlands, where the drugs reportedly originated. They are now sitting in jail, after a local judge issued an arrest warrant. I bet they didn’t work.